Picking up with ideas he started to explore in Brotherhood of the Rose, Morrell continues to look at the long term impact a life spent on killing would have on the soul. Can a person find peace and forgiveness when everything they’ve ever done has caused destruction and pain? Of course, this is all done with the backdrop of some amazing set pieces, including the opening sequence where we meet our protagonist, Drew, a spy who has withdrawn from society and become a monk. His newly found peaceful existence is ended when a hit team kills his fellow monks and attempts to kill him as well. 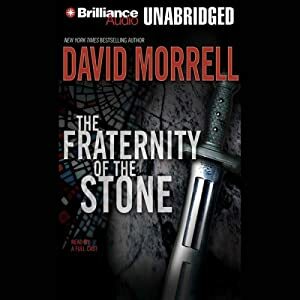 Of course, it’s no surprise that he escapes to find the people responsible but Morrell finds a way to take what seems to be a pretty standard thriller and make it something more. Last Words: With it’s combination of three dimensional characters and original action sequences Fraternity’s starts with momentum that doesn’t let up.